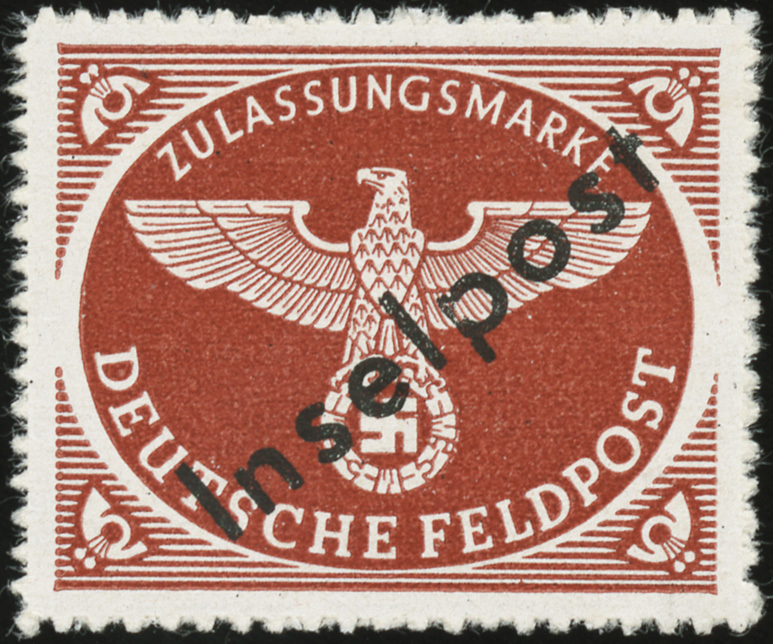 The army’s field postmaster (Feldpostmeister) for these regions, Dr. E. Schwarz of Army Group F, decreed that only mail with Feldpost stamps overprinted “Inselpost” should be transported. 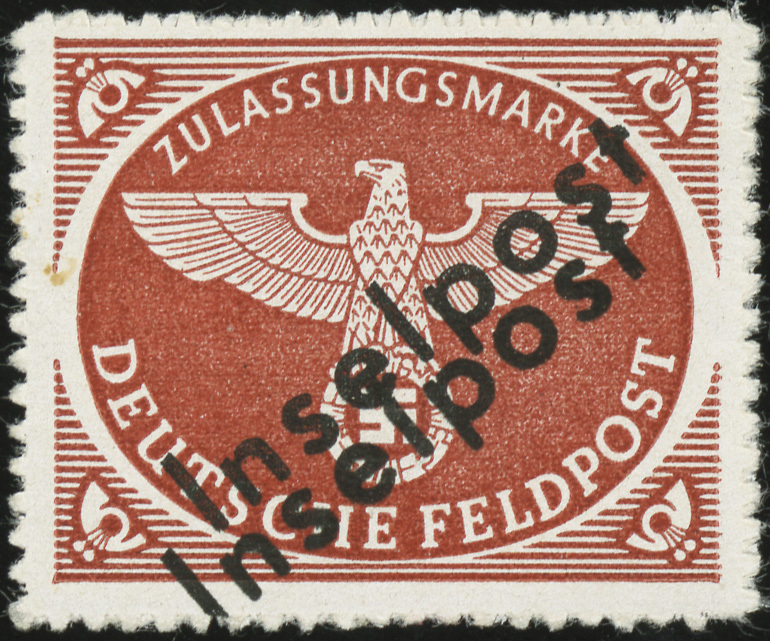 To accommodate this requirement, 200,000 package stamps (MiNr 2 B) were overprinted in Vukovar, Croatia, for distribution to the troops. 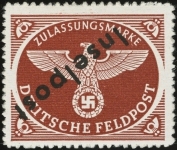 However, the aircraft transporting the stock of stamps was shot down during a supply flight in October 1944. 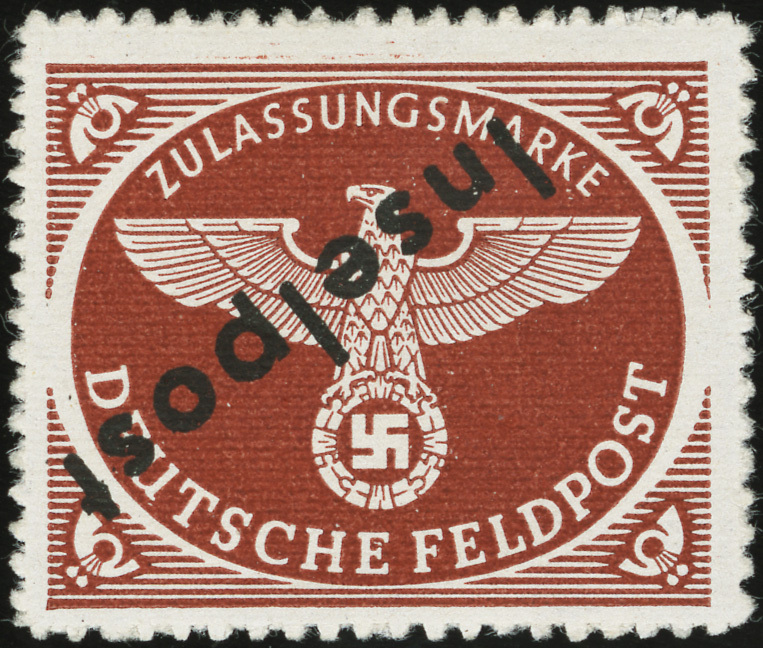 The only copies of the Vukovar printing which survived were a small stock of approximately 2,000 stamps which remained in Vukovar. 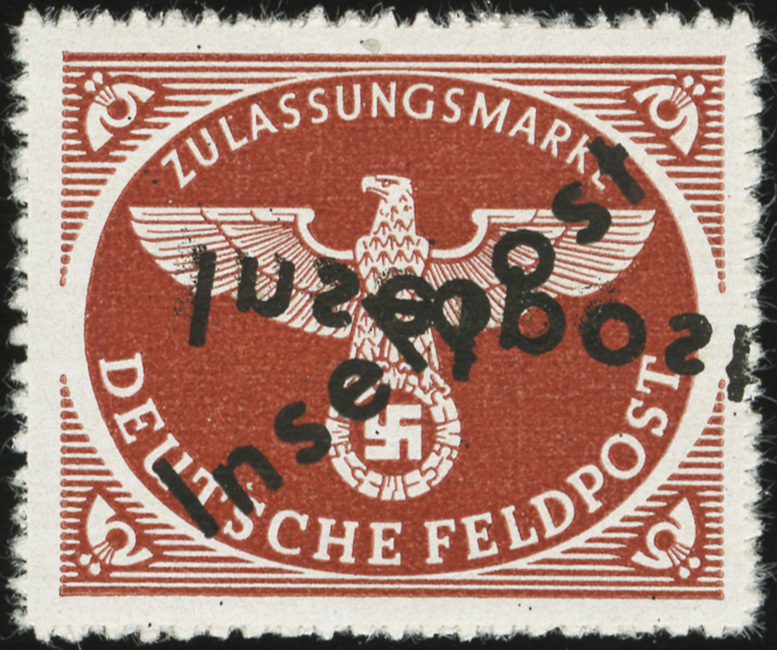 These were transported to Rhodes in December 1944, where they were distributed to collectors. During the printing process, two freshly printed sheets were placed face-to-face, resulting in transfer from one to the other and creating the double overprint with one inverted and mirror-imaged (unlisted in Michel). 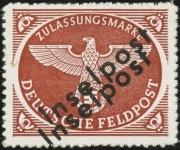 The only known copies of this error are from a block of 12 that were in the Inselpost reference collection of Dr. Schwarz. 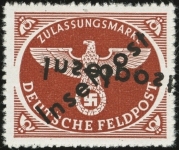 During the retreat of Army Group F through Yugoslavia, much of the Feldpostmeister’s reference collection was lost, the inverted/mirrored copies included. 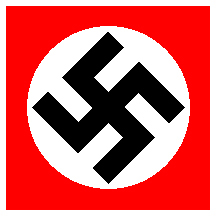 They were rediscovered over 30 years later in West Germany, where they were split into two blocks of 6. 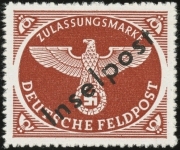 This copy was formerly in the middle row, first column of one of those blocks of 6 (position 13 of the sheet).